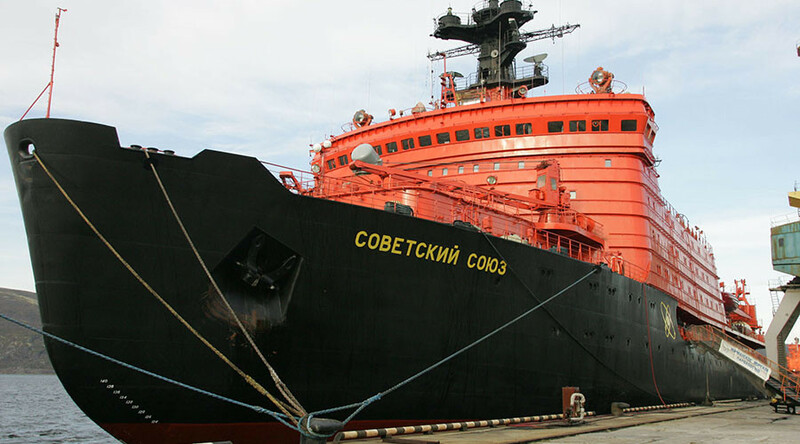 The Russian nuclear icebreaker fleet operator has decided to retire the iconic Sovetsky Soyuz (Soviet Union), the fourth Arktika-class ship, instead of overhauling it. The retirement of the colossus comes as Russia switches to state-of-the-art successors. The Sovetsky Soyuz was first floated in 1986, and for two decades cleared the trade route along the North Sea in the Russian Arctic, as well as hosting scientific expeditions and tourists. 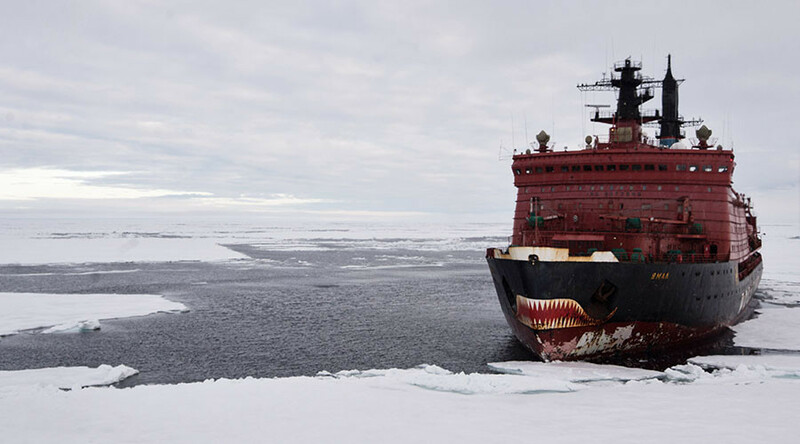 It is the fourth nuclear-propelled icebreaker of the Arktika class. Her three predecessors are scheduled for decommissioning while two younger ships are still active. The ship has two 170 MW pressurized water reactors, generating enough electricity to produce 52 MW of propulsion on her three propellers, as well as serving those on board the ship. A single nuclear fuel load is enough for several years. The power is more than enough to run a small town, which the ship essentially is. On her four decks, she has over 150 cabins, a swimming pool, two saunas, a cinema, a library, a fully-equipped hospital, and other facilities needed for months-long voyages with no port time. The 22,920-ton vessel can reach speeds of up to 20.8 knots and break through ice sheets up to five meters thick. With a length of 150 meters and a width of 30 meters, she is longer than, and almost as wide as, a football field. In addition to traditional icebreaking duties, she served at one time as an experimental floating nuclear power plant. In March 2002, the Sovetsky Soyuz, which was moored in Murmansk port at the time, was connected with a power line to cranes on the shore. Among the six Arktika-class icebreakers, two, including the Sovetsky Soyuz, were designed to be quickly retrofitted into an armed merchant. The ship, for instance, has a radar station on board, which would target cannon fire if a turret is mounted on it. This was never required, however. 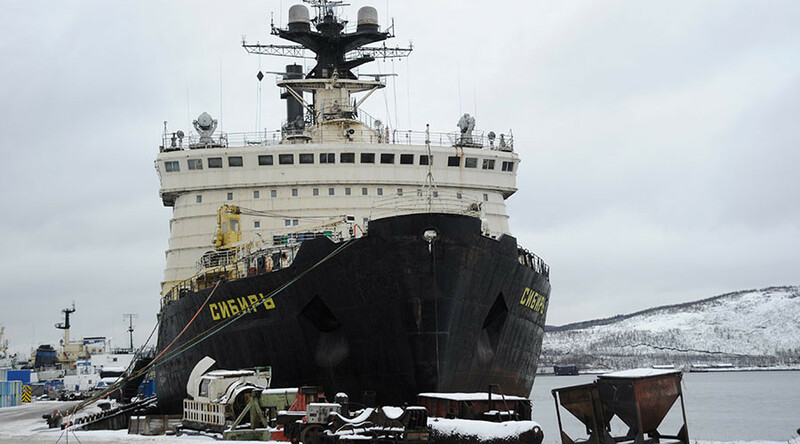 As the Sovetsky Soyuz was waiting for a decision on its future since being shut down in 2010, it was suggested that it could serve Arctic drilling projects or serve as a mobile headquarters for the Russian military in the Arctic. Neither was shown to be economically feasible. 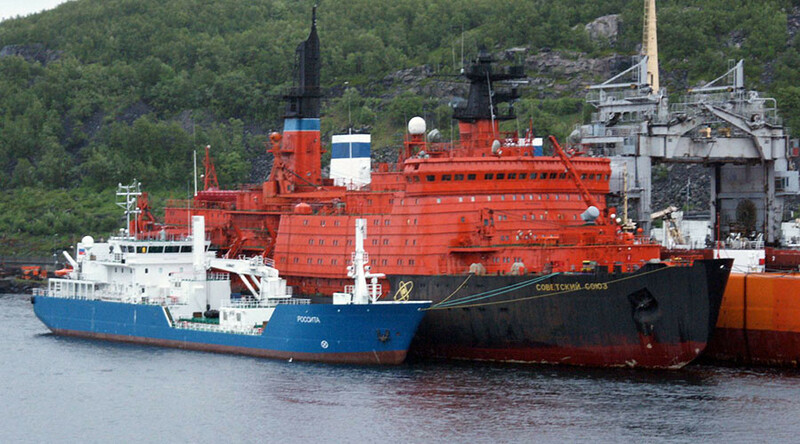 Russia is phasing out its older nuclear-powered icebreakers while building the replacement. The brand new Arktika icebreaker (not be confused with the old namesake) was floated last year with two more ships currently in progress. The new icebreakers are even bigger and more powerful than the old Arktika-class, with 33,540 deadweight and 60MW of propulsion. And thanks to variable draft, which can vary between 8.5 and 10.5 meters, they will be able to replace both the old Arktikas and the Taimyr-class nuclear powered icebreakers, which are designed to work in the deltas of Siberian rivers.